Which Form of Zinc Is Best? Zinc is an essential micronutrient that is vital to many aspects of your health. Although whole food sources are always the best way to get your nutrients, you may benefit from a zinc supplement if you have a deficiency or need to treat a medical ailment. Many forms of zinc supplements are available, some better than others for certain conditions. It's useful to understand your choices when deciding which is the best form of zinc for you. Choose a chelated form of zinc supplement for the best bioavailability in your body. Zinc is an important element required for the chemical reactions of over 300 enzymes and is necessary for the proper functioning of your immune system. Your body need zinc for protein synthesis, wound healing, hormone production and cell division. Zinc supports normal growth and development from infancy to adolescence. Without zinc, you wouldn't have a sense of taste or smell and the health of your skin and eyes would be compromised, according to National Institutes of Health. For safety, and to determine the amount of zinc your body requires for good health, the Food and Drug Administration has established the recommended dietary allowance based on age and gender. These values include the total zinc intake from food sources, including fortified foods, forms of supplements and multivitamins, medications and household items containing zinc. Your body cannot store zinc, so you must supply it from a varied diet that consists of foods containing zinc. Getting your zinc from food also provides fiber and energy in the form of fats, proteins and carbohydrates, and is a balanced source of numerous other minerals and vitamins. Do You Need a Supplement? Restricted diet: vegetarians may need up to 50 percent more than the RDA for zinc due to low bioavailability of zinc from plant-based foods. 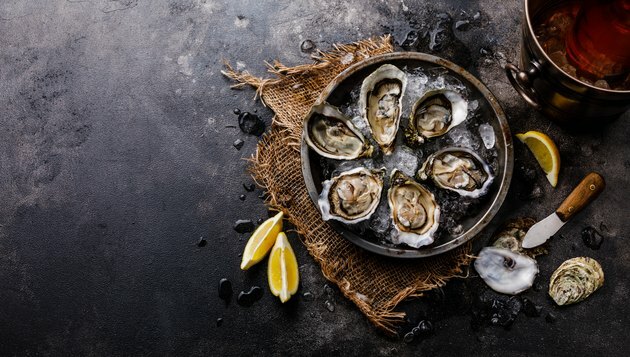 Read more: Does Zinc Deficiency Affect Our Taste Buds? Available in many different forms, zinc supplements are used to treat various health ailments, including zinc deficiency, diarrhea, common cold, wound healing, macular degeneration and fertility problems, to name just a few. Zinc supplements are available in capsule, tablet, time-released, powdered, syrup, nasal spray and lozenge forms. Zinc is often included in combination with other nutrients, such as copper, calcium or magnesium, and is contained in many multivitamin and mineral supplements. The doses of zinc supplements, often as high as 50 milligrams, can exceed the recommended intake, and you should exercise caution as high amounts of zinc taken long term can be harmful. The percentage of elemental zinc provided by a supplement varies depending on the form. Some forms are better suited to treating certain conditions or are better absorbed by your body. You can compare the amounts of zinc provided by a supplement on the Supplemental Facts panel on the container. For maximum effectiveness, take zinc supplements at least 1 hour before or 2 hours after meals. If you experience digestive upsets, you can take the supplement with meals. Avoid eating high-fiber foods along with your supplement, which could impede absorption. Zinc orotate, made by binding zinc to orotic acid. It is the most readily absorbed zinc supplement on the market, according to Global Healing. Zinc gluconate, one of the most popular forms of over-the-counter supplements. It is made by fermenting glucose, so it has a long shelf life. Some zinc supplements contain cadmium, which is chemically similar to zinc. High levels of cadmium can lead to kidney failure. Zinc gluconate contains the lowest cadmium levels of any zinc supplements, according to RXList. Zinc citrate, a water-soluble form made by combining zinc with citric acid. A study published in the Journal of Nutrition in 2014 showed that zinc citrate, given as a supplement, is as well-absorbed as zinc gluconate but has a more appealing, less bitter taste. Zinc citrate is the best type of zinc for use in toothpastes and mouthwashes for dental health and as a breath freshener. Zinc acetate, produced by combining zinc with acetic acid. Zinc acetate is the best zinc supplement to treat the common cold. Findings of a study published in Open Forum Infectious Diseases in 2017 recommended using acetate lozenges within 24 hours of the onset of a cold for a three-fold increase in the rate of recovery. Zinc picolinate, another chelated form of zinc salt, is combined with picolinic acid from the amino acid tryptophan. Zinc picolinate is a popular supplement and is shown to be effectively absorbed in oral form for the treatment and prevention of zinc deficiency. Zinc sulfate, a water-soluble, inorganic form of zinc or zinc salt. Sulfate conflicts with calcium and may cause stomach irritation. Sulfate is used in some eye drop solutions to treat eye irritation. Zinc sulfate taken orally or by injection may help heal skin lesions. Zinc oxide, given as an oral supplement, has been found to have a significantly lower level of bioavailability than zinc citrate and zinc gluconate in a 2014 study published in the Journal of Nutrition. Zinc oxide is often used as a topical agent, such as in sunscreen or for treatment of skin disorders, including dermatitis, eczema, diaper rash and psoriasis. According to the National Institutes of Health, the upper tolerable daily limit for adults is 40 milligrams of zinc. Intake of zinc above the recommended upper level could result from a combination of dietary supplements, multivitamins, food and food additives, ingestion of zinc-containing medications or household products. Over-the-counter cold remedies often contain zinc, such as throat lozenges and nasal sprays. Especially in combination with a zinc supplement, studies have shown that toxic side effects from the use of nasal sprays could cause permanent damage. The National Institutes for Health warns that some nasal gels and sprays containing zinc can cause anosmia — the loss of smell. This condition may be irreversible. As a result, the FDA recalled many intranasal products from the marketplace. Excessive use of zinc supplements along with products that contain zinc can cause a copper deficiency. If you wear dentures, be aware that some denture adhesive creams contain levels of zinc ranging from 17 to 34 milligrams per gram. The National Institutes of Health warns that excessive use of these products — two or more standard tubes per week — could result in zinc toxicity and copper deficiency, causing neurological disorders such as numbness and weakness in your arms and legs. Winchester Hospital suggests that, if your total zinc intake is 50 milligrams per day or more, you should include a supplement of 1 to 3 milligrams of copper daily to avoid this disorder. Antibiotics. Zinc supplements combined with quinolone or tetracycline antibiotics can interfere with the drug's ability to fight bacteria. Take the antibiotic two hours before or four to six hours after taking zinc to minimize this effect. Penicillamine. Zinc can interfere with this rheumatoid arthritis drug (Cuprimine, Depen), reducing the drug's effectiveness to ease arthritis symptoms. Take zinc at least two hours before or after taking the drug to prevent loss of efficiency. Thiazide diuretics. This type of high blood pressure drug can increase the amount of zinc lost in urine. Medical News Today: What Are the Health Benefits of Zinc? Journal of Nutrition: Zinc Absorption by Young Adults From Supplemental Zinc Citrate Is Comparable With That From Zinc Gluconate and Higher Than From Zinc Oxide.